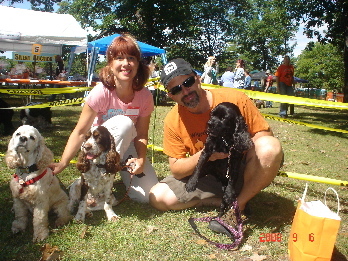 It's all about the Dogs and being a fun day for them. 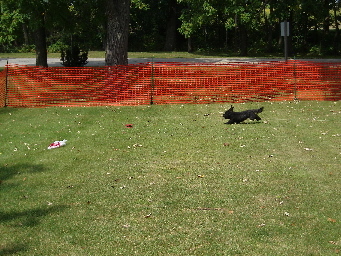 Area used for the Instinct Testing and later used for Lure Coursing. 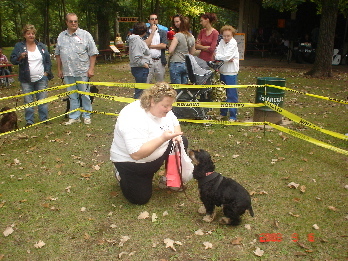 Foster Mom, Elaine Z. participating in the Instinct Testing. 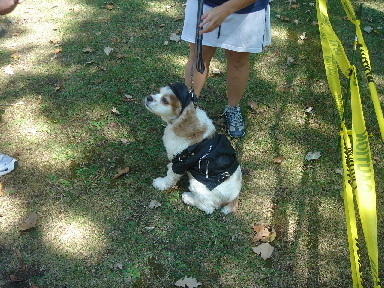 Another participant for the Instinct Testing. 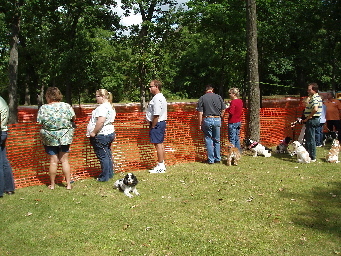 Waiting so patiently for their turns to test their natural instincts. 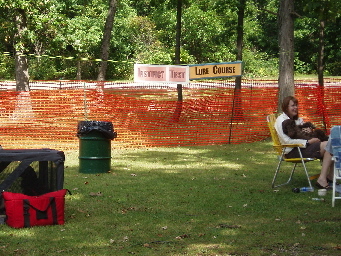 Finally... Time for the Lure Course. 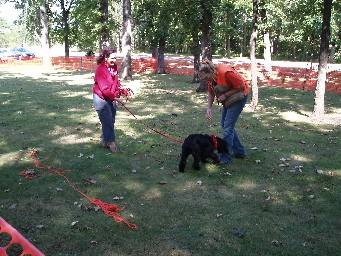 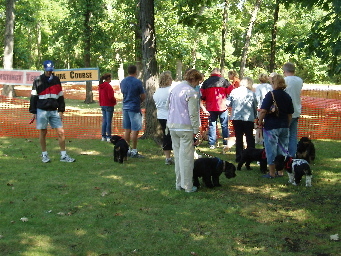 The dogs attending love running the lure course. 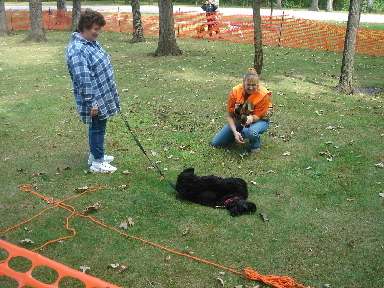 2nd Place Best Obedience: Libby (Friends of WCR) with her mom Lisa Campbell. 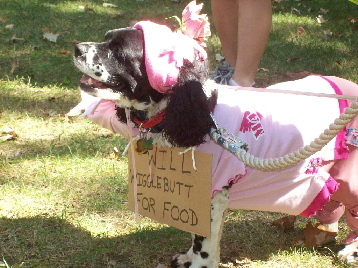 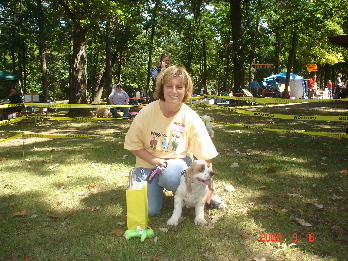 Winner Best Wiggle: Scooter (SCR) with his mom, Nancy Hayer. 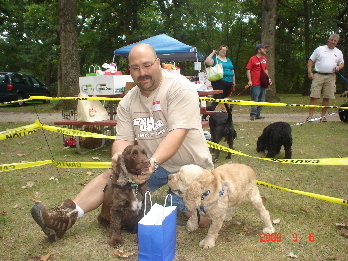 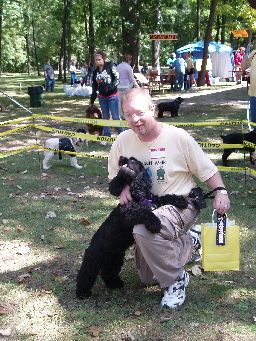 2nd Place Best Wiggle: Buddy (SCR) with his dad, Steve Turnquist. 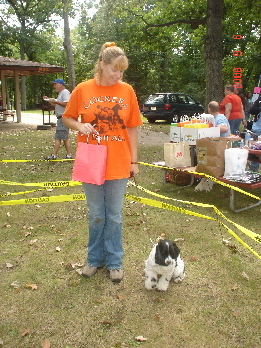 Winner Longest Tail: Maisy (SCR) with mom Rachel Reimer. 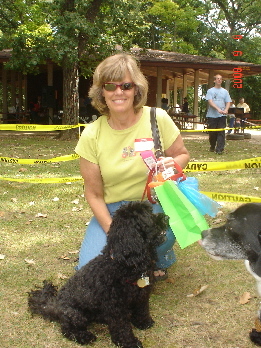 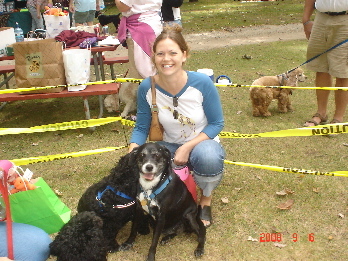 2nd Place Longest Tail: Madison (Orphans of the Storm) with mom, Judy Kasten. 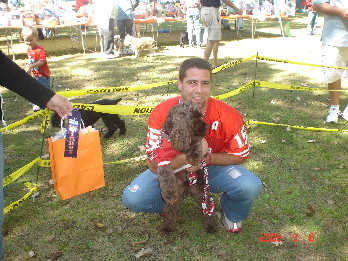 2nd Place Owner Dog Look Alike: Dandy Raether (SCR) with his uncle, Leon Kristal. 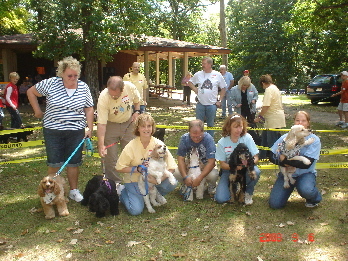 Finalists for Best Wiggle Contest line up. 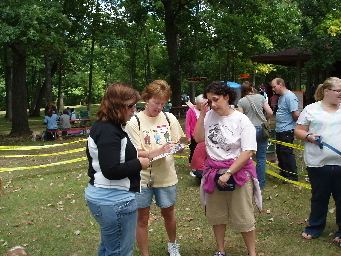 The judges, Danielle, Kathy and Lynette, comtemplating their decision. 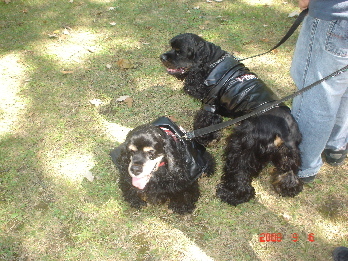 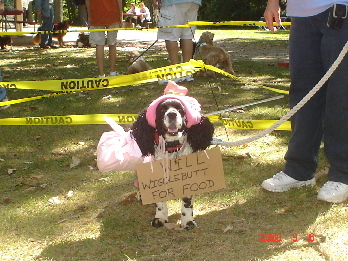 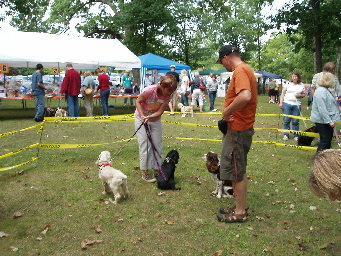 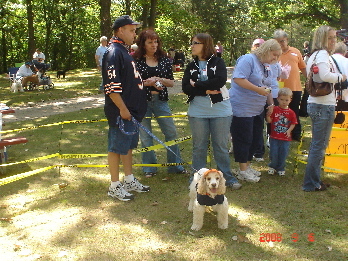 Judging in the Obedience Contest. 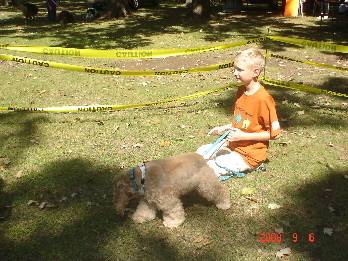 Reeses and Parker Henricks competing for best costume as the T Birds.